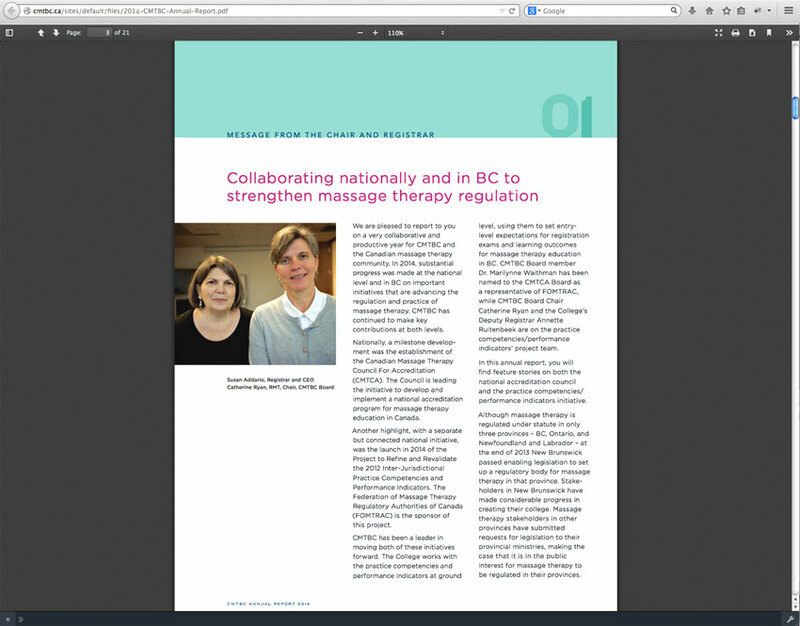 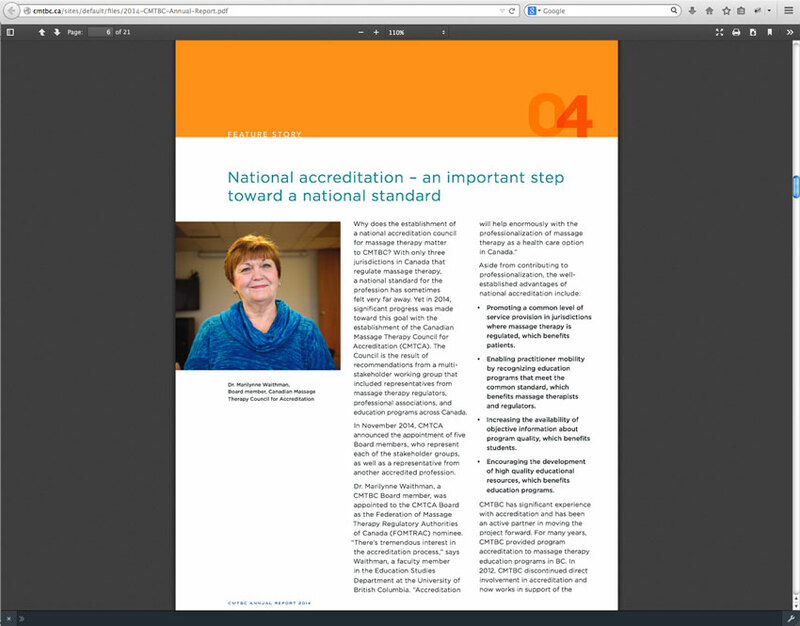 The College of Massage Therapists of British Columbia (CMTBC) is the regulatory body for registered massage therapists in BC. 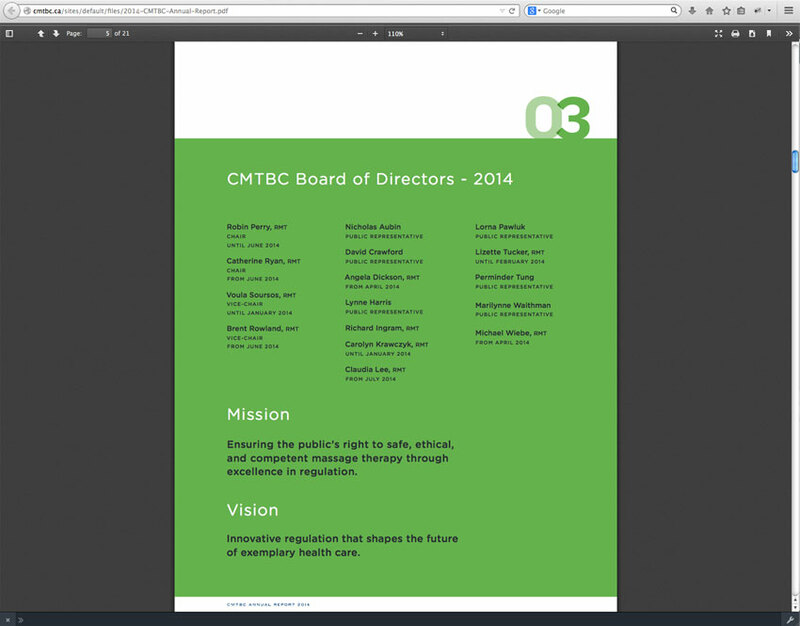 Their policy is not to show "hands on bodies" on any of their marketing materials. 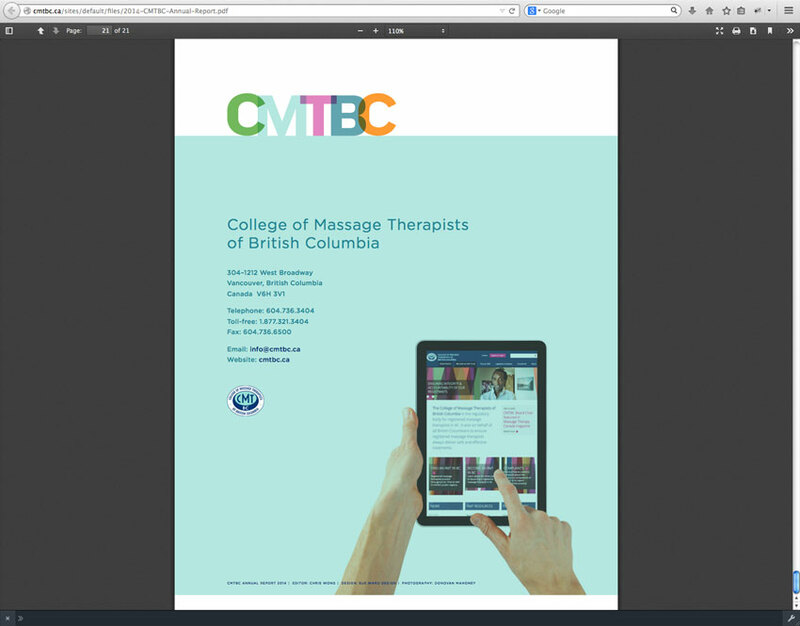 So, hands, the tools of massage therapists, were shown instead doing the work of the College. 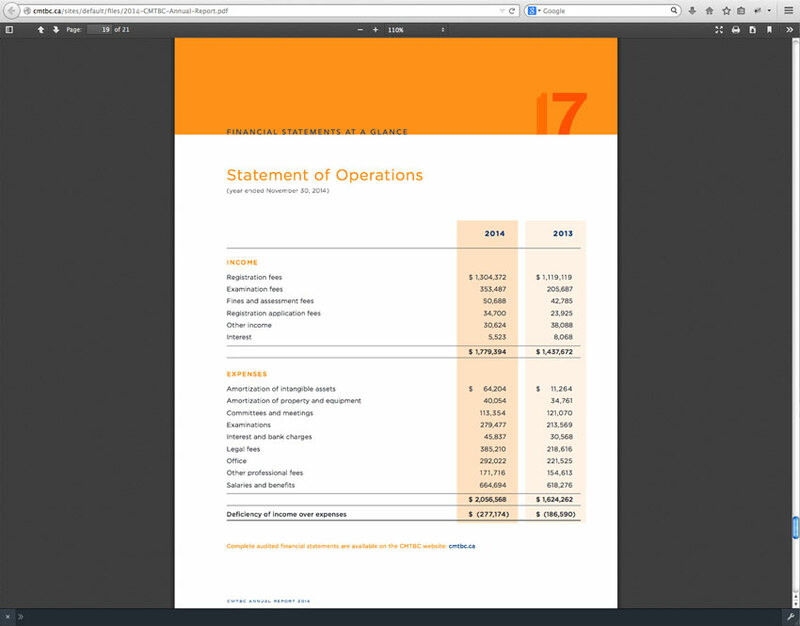 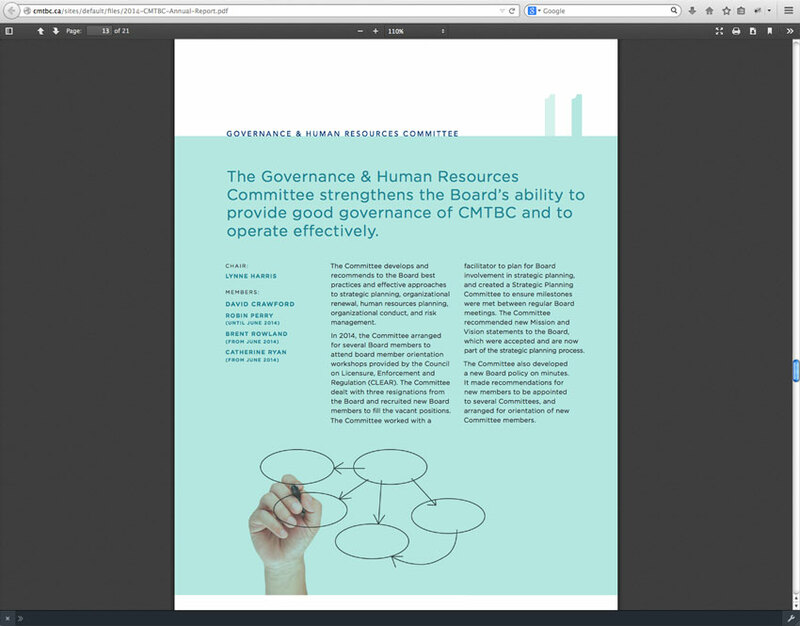 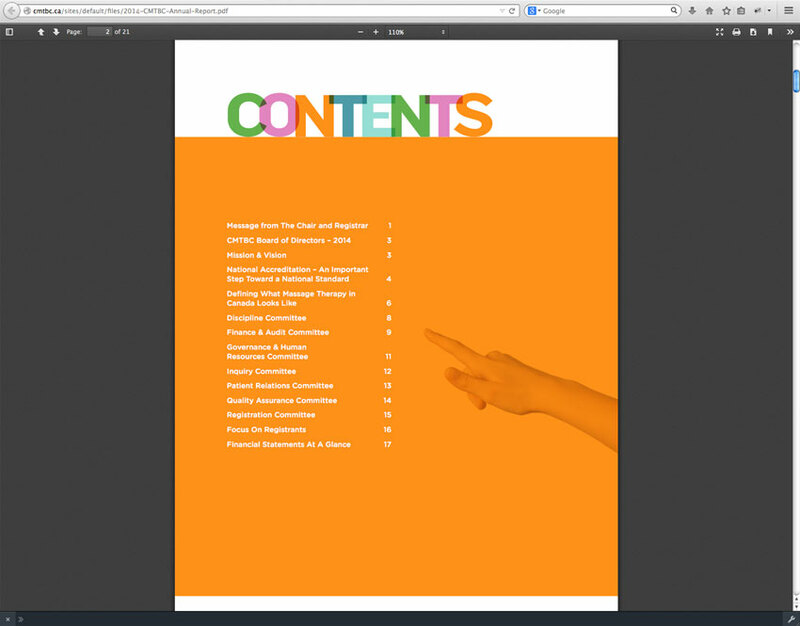 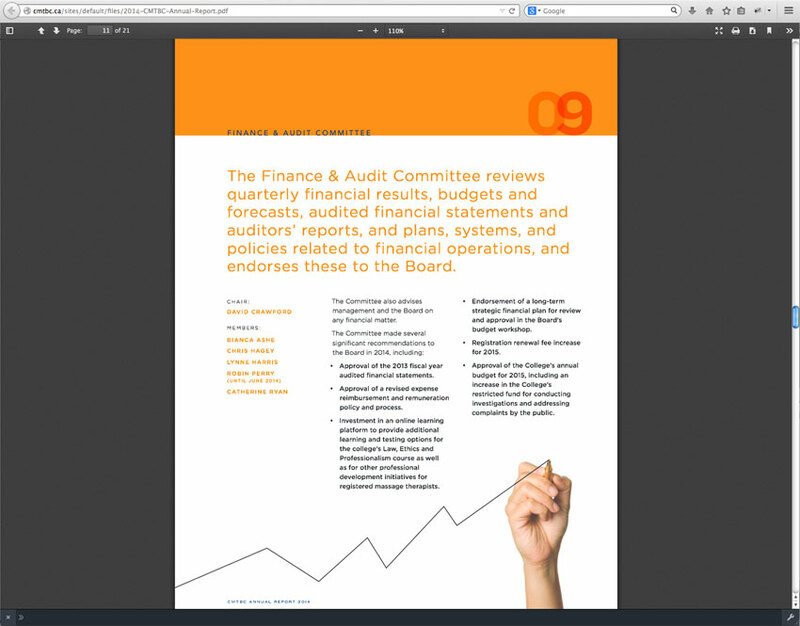 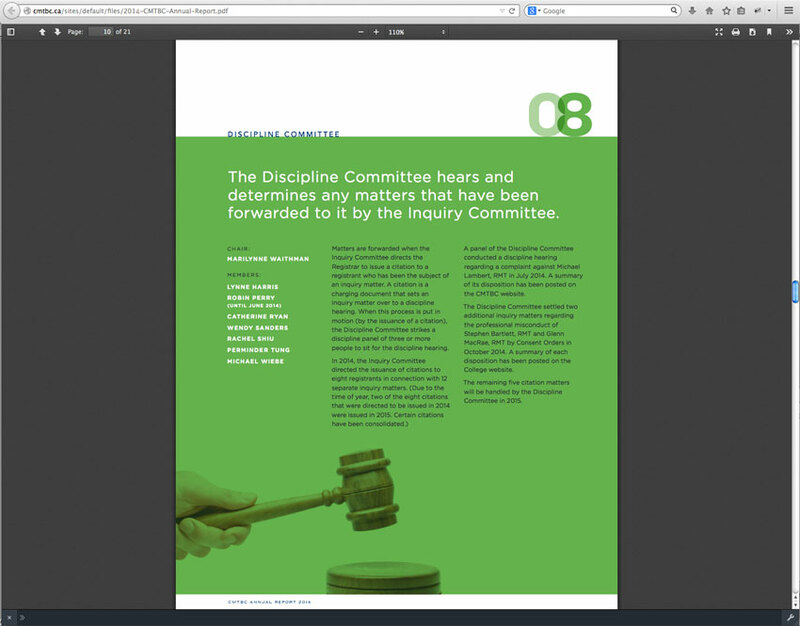 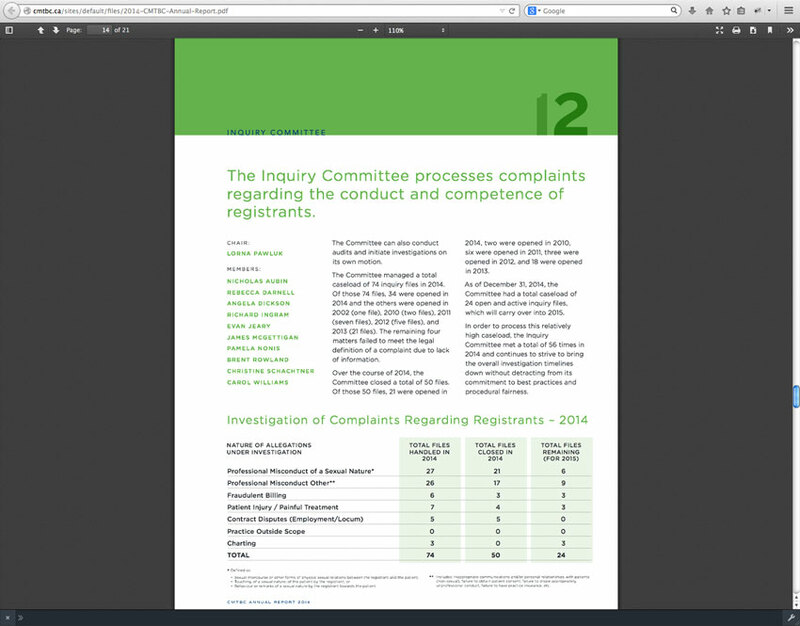 The Annual Report and Financial Statements are available from the CMTBC website as pdfs and are designed as single pages for easy printing.